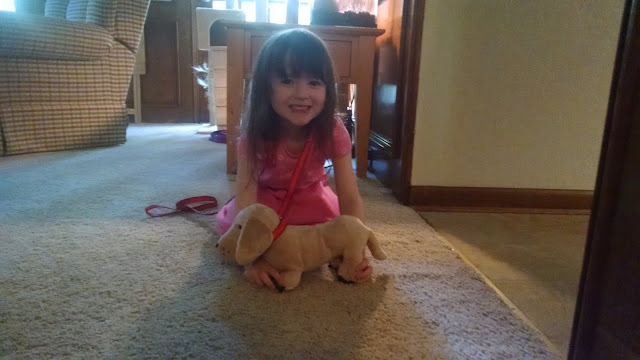 My mom's five year old sister, Nicole, loves me and loves doggies. For those who aren't dog show savvy, when you stack a dog that means you're adjusting the dog's legs and body to make it stand a certain way. I think there's another dog handler in our future...and hopefully another Dachshund! Oh yes, what a pawsome technique! Looks like she's in training! We can never have enough doggie lovers in the world! Very cute! The apple doesn't fall far from the tree, does it, Robin? Another cutie pie too!!! Yep, looks like she knows exactly what to do! Go Nicole!! What a great job!